Portfolio is the best way to show your work. 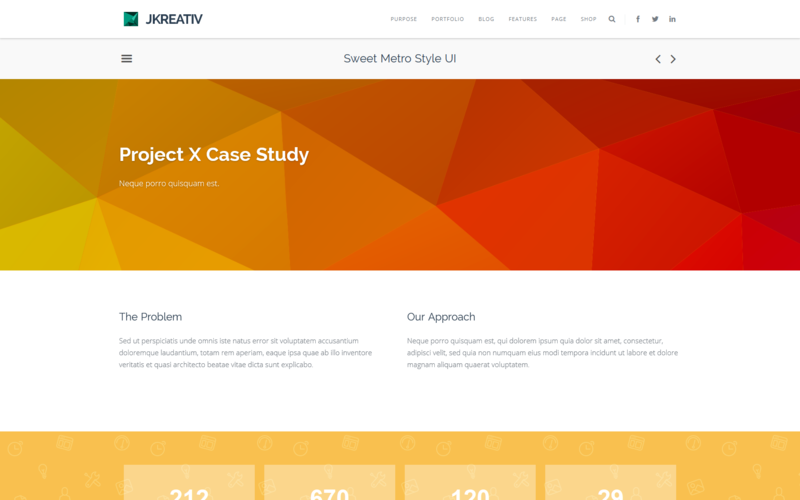 You can use this portfolio for almost all kind of work you have done. From Photography, to Icon Creator. Portfolio Parent Page This page will become as you Parent Page of your portfolio items. This page will occurs on Choose your portfolio parent option when you create your portfolio item. And you’ve to choose one of your portfolio parent as well for each your portfolio item. 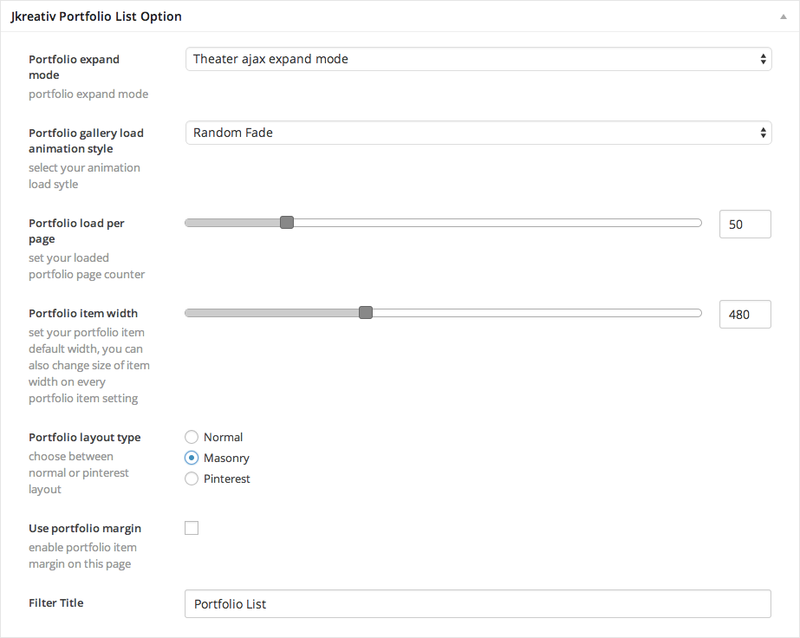 Control for Normal Ajax Expand Mode available on Single Portfolio, when you choose Ajax Portfolio Layout. 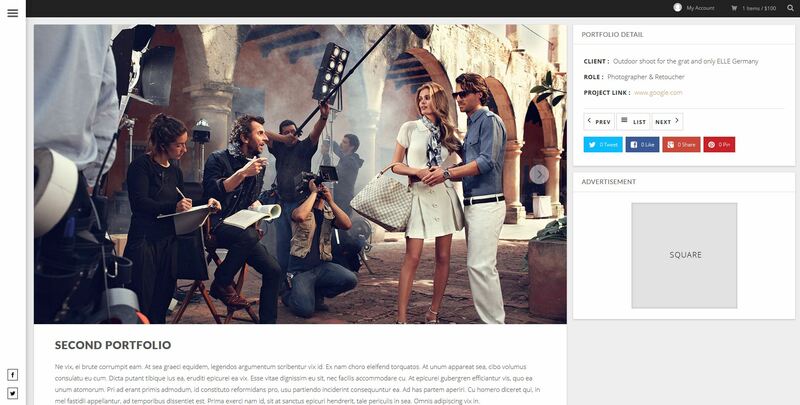 Control for Theather Ajax Expand Mode available on Single Portfolio, when you choose Ajax Portfolio Layout. 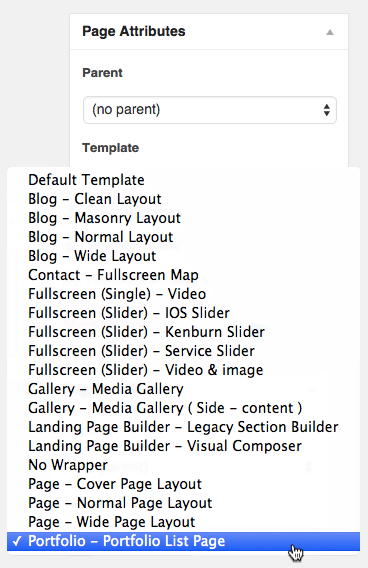 This option will work if you’re using Masonry Layout or Normal Layout on Portfolio List Page. 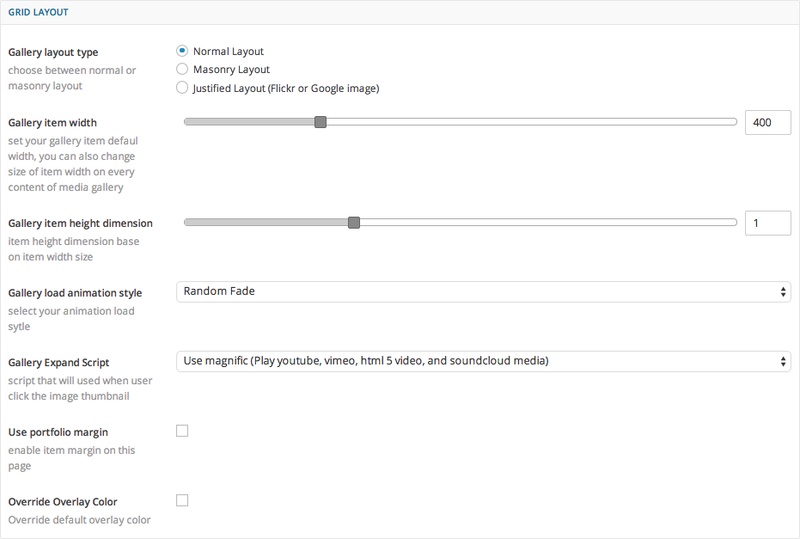 With this option you can setup different Overlay Color for each Portfolio Item. This option will be ignored if you’re using Pinterest Layout. On Single Page Portfolio Item, we have 6 kind of Portfolio Layout. 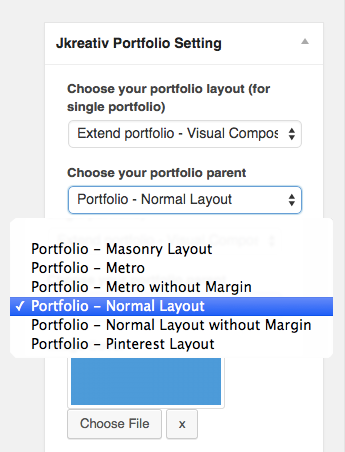 On each Portfolio Layout have a bunch of option that will looks like different on each other. Image Scale Method : You can choose 3 type of Scale Method that we provide for your portfolio image on Single Portfolio Item. 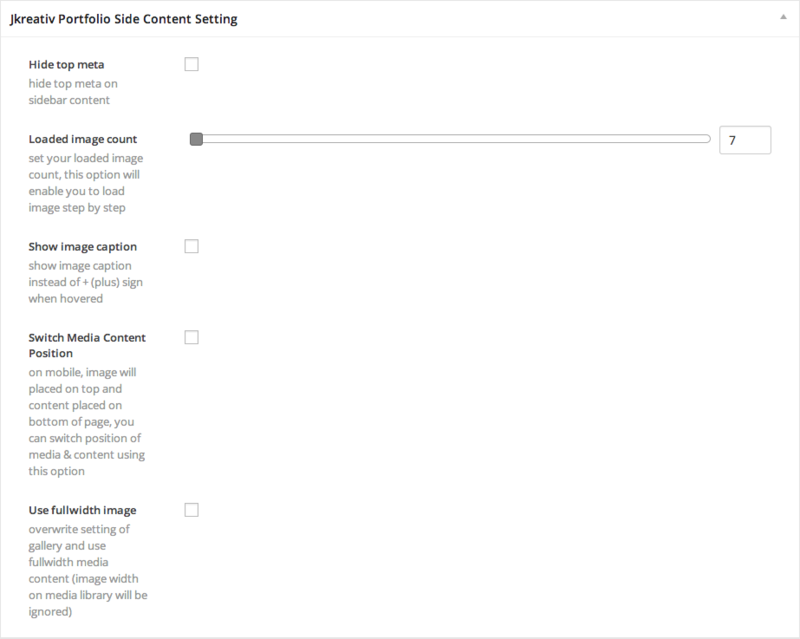 Hide Portfolio Top Meta : Enable this option if you want to hide the meta that contain date, author and another information. Heading Position : Choose one of 2 type of Heading Position that you want to use. Select Additional Sidebar : Choose widget that you want to show up on Sidebar. 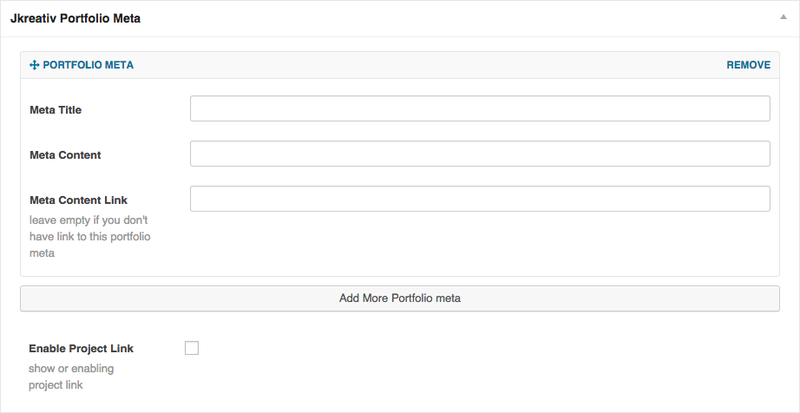 Portfolio Detail Text : Fill the title of detail meta information about your portfolio item. 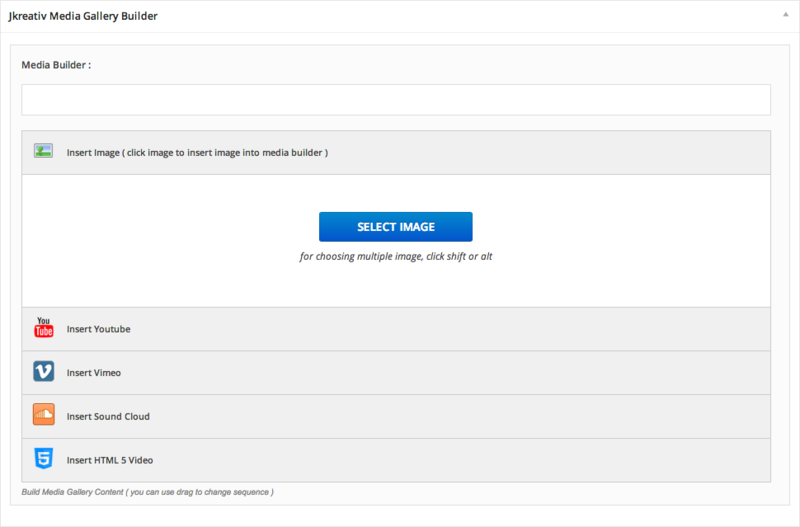 Switch Media Content Position : You can switch media gallery and content position on mobile device by enabling this option. 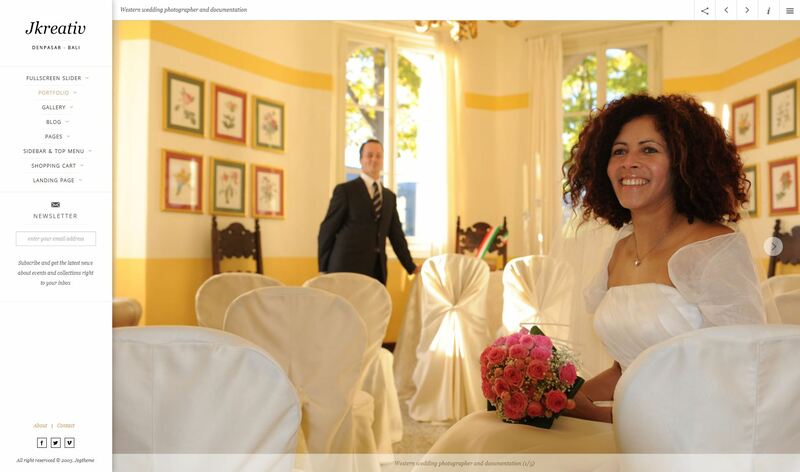 Use Fullwidth Image : Enable this option will overwrite setting image of media gallery and use fullwidth media content. 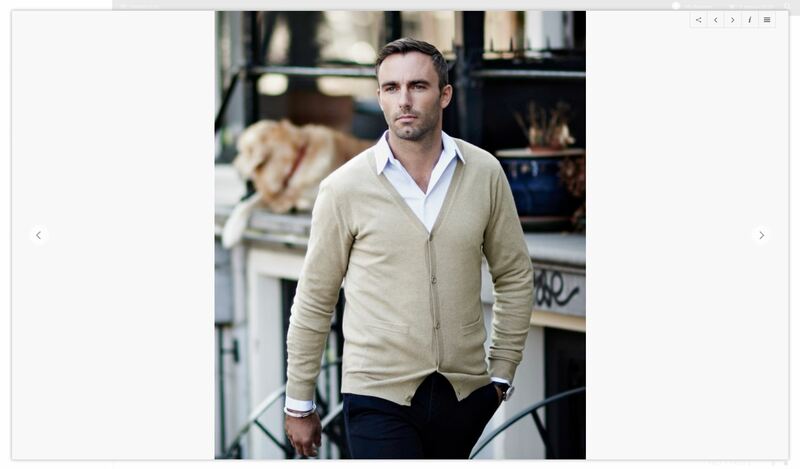 Override Overlay Color : Enable this option if you want to override default setting on image thumbnail overlay color. By using this template on your single portfolio item, you will be able to show your portfolio item that contain Landing Page element. 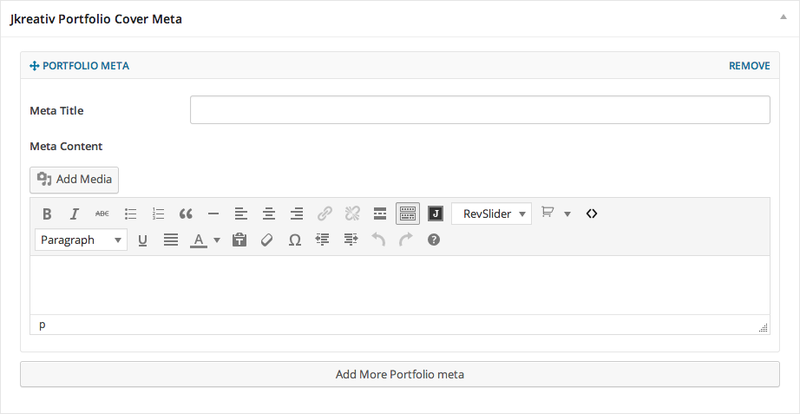 So you can use JKreativ Section Shortcode element to describe your portfolio item. By using this template on your single portfolio item, you will be able to show your portfolio item that contain Landing Page element. So you can use Visual Composer element to describe your portfolio item.